The El Capitan was one of the first acoustic/electric basses to feature the legendary all maple J-200 body which makes for a sound that’s punchy, powerful, and distinctive. Whether amplified through the full-featured Shadow Germany preamp system or unplugged, the El Capitan will pound out a bass line and keep everyone in the groove. 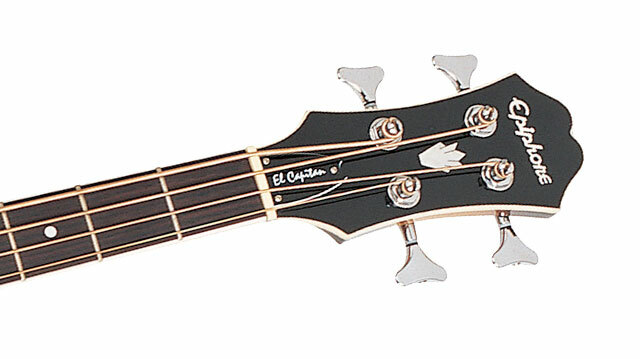 The El Capitan is simply the best value you can find for an acoustic bass and to prove it, the El Capitan comes with our Limited Lifetime Warranty and Gibson 24/7/365 Customer Service along with a century’s worth of experience. Visit your Authorized Epiphone Dealer today and command the pulse of your music with the El Capitan. The El Capitan’s maple body and classic J-200 body shape make for an ideal acoustic bass with a superbly low end with fantastic overall definition. 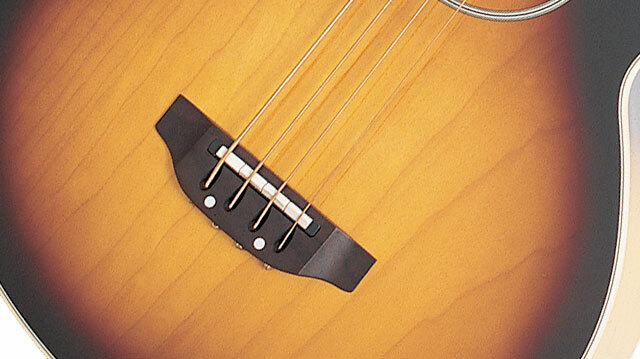 The beautiful rosewood bridge and synthetic bone saddle provide great stability and superior intonation. The 34” scale SlimTaper™ maple neck joins the body at the 15th fret and has a rosewood fingerboard with classic dot inlays. The El Capitan comes in a stunning Vintage Sunburst (VS) color finish. The El Capitan includes premium die-cast open gear machine heads and nickel hardware that can last a lifetime. The machine heads are mounted on an iconic Epiphone Clipped Dovewing headstock.